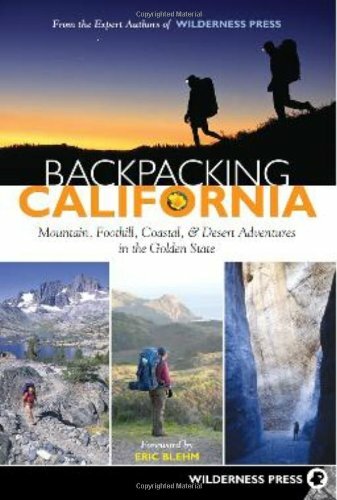 Backpacking California is a collection of more than 70 of the most intriguing backpacking adventures in Wilderness Press’s home territory of California. With contributions from more than a dozen Wilderness Press authors, the book describes routes ranging from one night to one week. Backpacking novices as well as “old hand” California hikers will find expert-crafted trips in the Coast Ranges, the Sierra, the Cascades, and the Warner Mountains. Expanded coverage includes trips in Big Sur, Anza-Borrego, Death Valley, and the White Mountains. Several trips have been described in print nowhere else. Each trip includes a trail map and essential logistical information for trip planning.